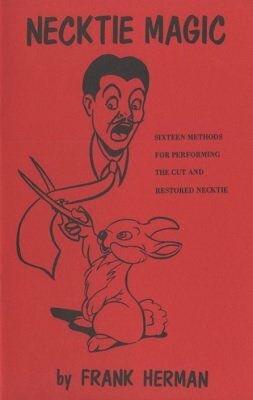 A magician's textbook on the great comedy trick of the cut and restored necktie! Suitable for any kind of show, close-up, banquets, sales meetings, hospitality suites, floor shows, stage. An ideal number for any audience. Sixteen laugh getting routines by a pro who made a reputation with it. Add this easy to do material to your own repertoire. Illustrated ebook. 1st edition 1971; 1st digital edition 2015, 18 pages.